The “laboratoire d’excellence” Inflamex is led by the Community of Universities Sorbonne-Paris-Cite with a delegation of gestion to the University Paris Diderot. It is financed by the ANR (Agence Nationale pour le Recherche). 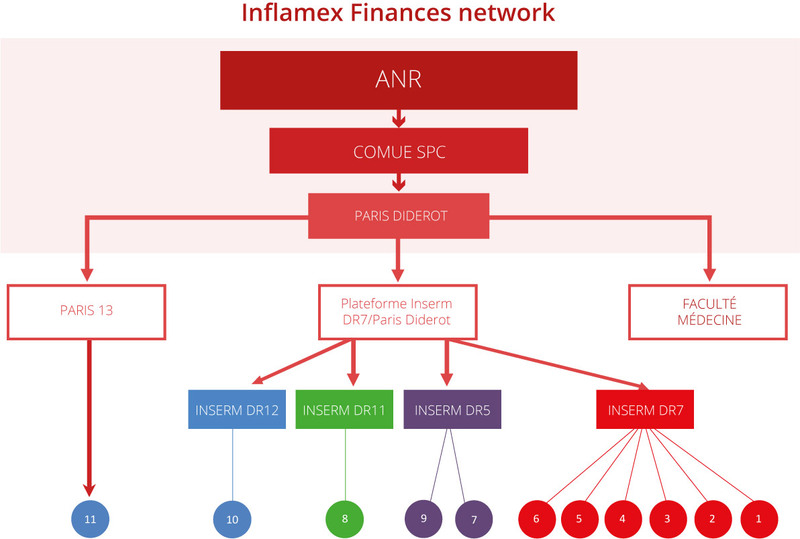 The Faculty of Medicine Paris Diderot manages Inflamex’ spending for communication, governance, and education initiatives and projects. Recruitment of PhD students and Post-Docs, and research grants are managed by the Inserm, through its Regional delegations. The University Paris 13 is reponsible for Partner 11 recruitement and spending.